Stacey Ayres has lived in Southern Oklahoma since 1970. She is currently the Property Manager for over 70 homes in Ardmore. Stacey graduated from Ardmore High School in 1981. She attended Murray State College and received her Associate’s degree in Business in 1982. She began working for Attorney David Blankenship in 1983 and received her Legal Assistant Certificate in 1989; she continues to be employed by Mr. Blankenship. She has also been a licensed process server for over 20 years. Stacey is married to Mike Ayres; they have four adult children and five grandchildren. They own a ranch in Love County where they raise and sell Boer show goats. Stacey’s love for her grandchildren and goats is boundless. She has been actively involved with rental property for several years. 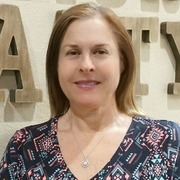 Stacey prides herself on taking care of both property owners and tenants by insuring that their concerns are met in a quick and efficient manner. If you have rental property and would like someone to manage it as if it were her own, give Stacey a call. And, if you’re looking for a residential rental, Stacey will go out of her way to find the right place for you.